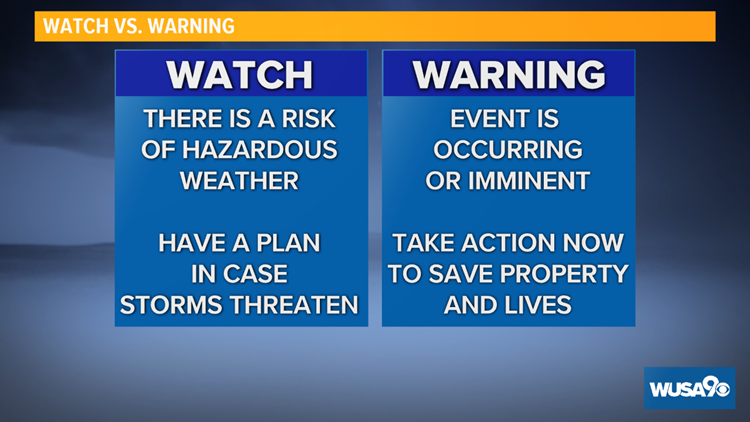 We define a severe storm watch versus a warning and the criteria for a severe storm. 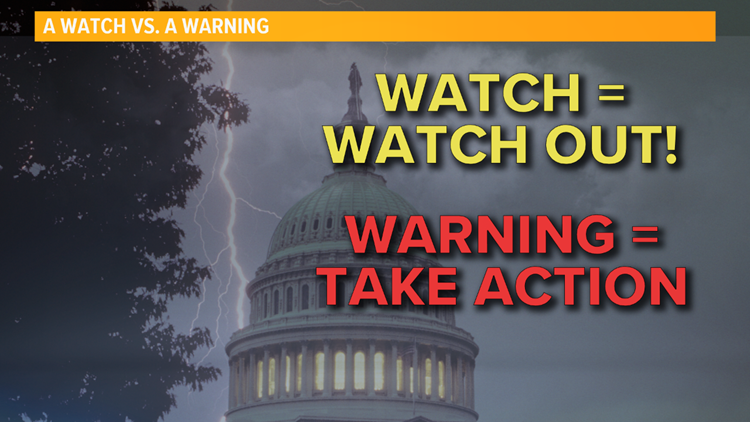 Severe Weather Awareness Week: Watch vs Warning and what is a severe storm? Every storm is not a severe storm, here's what you should know. WASHINGTON — Imagine it's storming outside. You look out of your window and see it pouring. A small tree has lost a few branches and your trash can has blown down the street. Is this a severe storm? It depends. 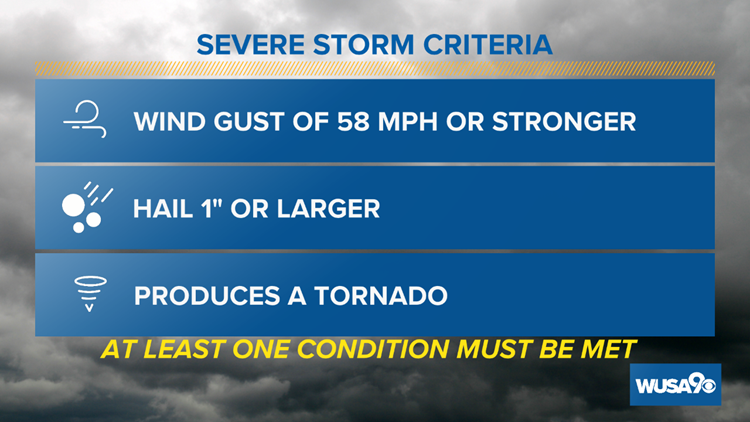 The term "severe storm" is easily tossed around, but there are certain conditions that must be met. Heavy rain and vivid lightning are NOT severe weather indicators. A storm can have torrential rain and dangerous cloud-to-ground lightning, but that does not make it a severe storm. But any storm that produces lightning has the potential to be deadly. There is no safe place outdoors when there is lightning. A severe thunderstorm watch means that severe storms are possible. A severe thunderstorm warning means a severe storm is happening or will happen soon. This is good information to keep handy, especially as April 7-13, 2019 is Severe Weather Awareness Week in Maryland. On Wednesday, April 10, the National Weather Service will conduct a tornado drill. At 9:45 a.m. Wednesday, NWS officials will send out a tornado drill statement over NOAA Weather Radio. It will not send a tone alert to weather radio, broadcast media, or phones in Maryland, but residents are encouraged to activate their tornado safety plan.